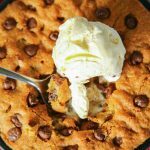 Air Fryer Chocolate Chip Skillet Cookie is a thick and delicious cookie made in the air fryer. Serve with a scoop of ice cream on top. It’s perfect for two. 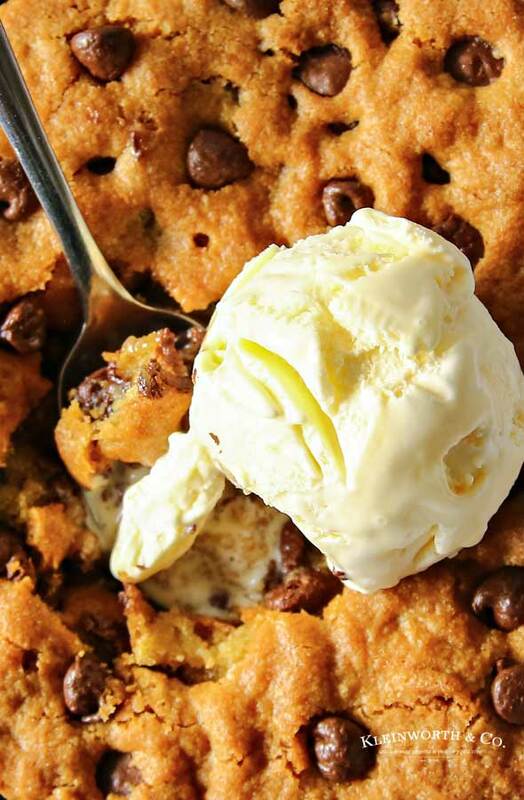 Everything you love about chocolate chips cookies baked into one super thick and delicious treat. 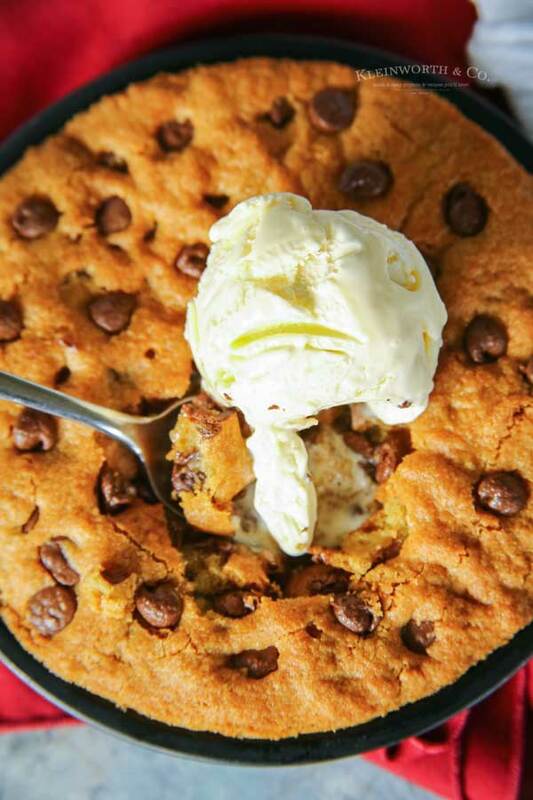 Grab a friend and a couple spoons because this dessert is meant to be shared directly out of the pan while still hot. Serve this hot with a scoop of ice cream on top. No need for separate serving bowls, this one is to be enjoyed together. 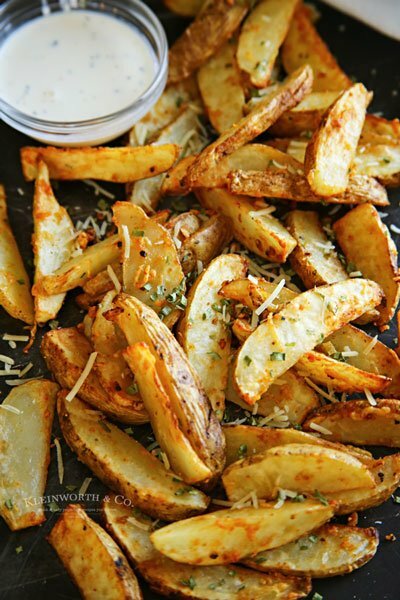 I love making this recipe when it is just the hubs & I wanting a little special treat. Something so sweet about sharing a dessert with your spouse. I mean, really. 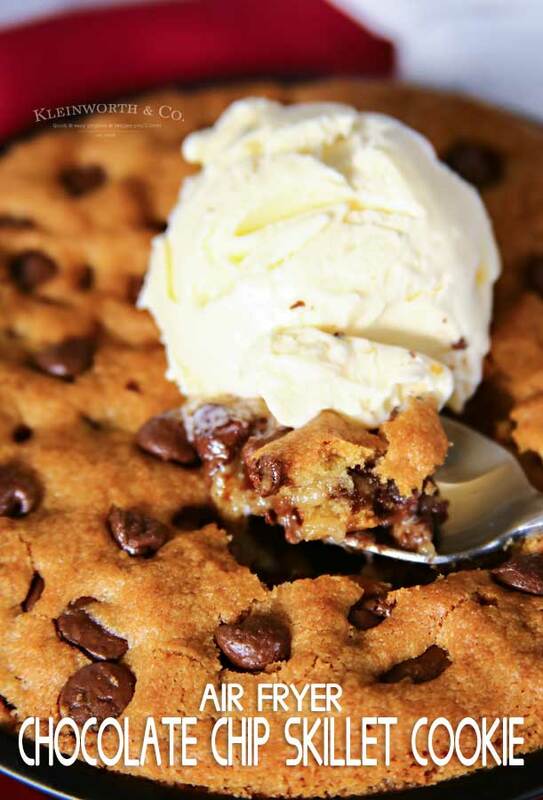 I super love a pizookie or skillet cookie. But when I usually make them it is in our huge 10″ cast iron skillet, which makes for a family sized dessert. Then there is the whole heating the oven and waiting for it to bake. This one is perfect for when you want a little less. Can I change out the type of chocolate or add other mix-ins? 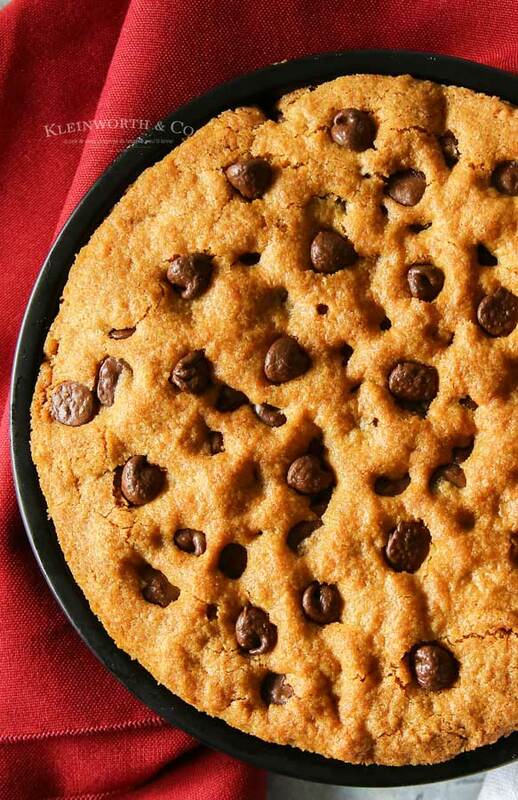 You can use chocolate chunks in place of chocolate chips in this recipe. If you prefer dark or milk chocolate chips, you can use those too. This is also great when adding a variety of chopped nuts. 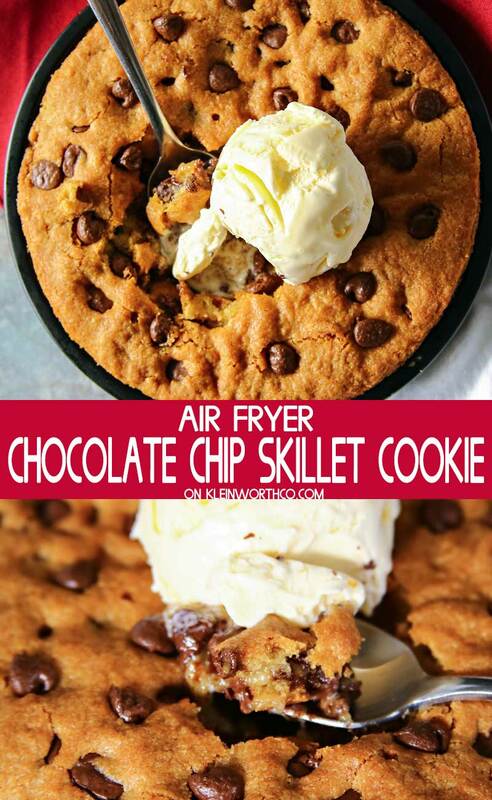 HOW DO YOU MAKE Air Fryer Chocolate Chip Skillet Cookie? Combine flour, baking soda and salt in a large bowl. Whisk to combine. Add butter, sugar, brown sugar, egg and vanilla extract and mix well until creamy. 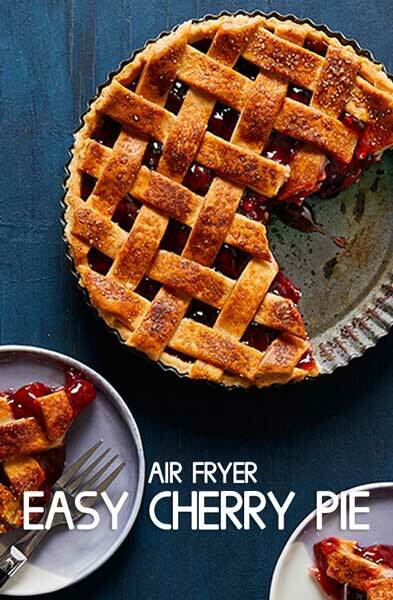 Lightly spray a shallow 6 to 7” pie pan with oil. 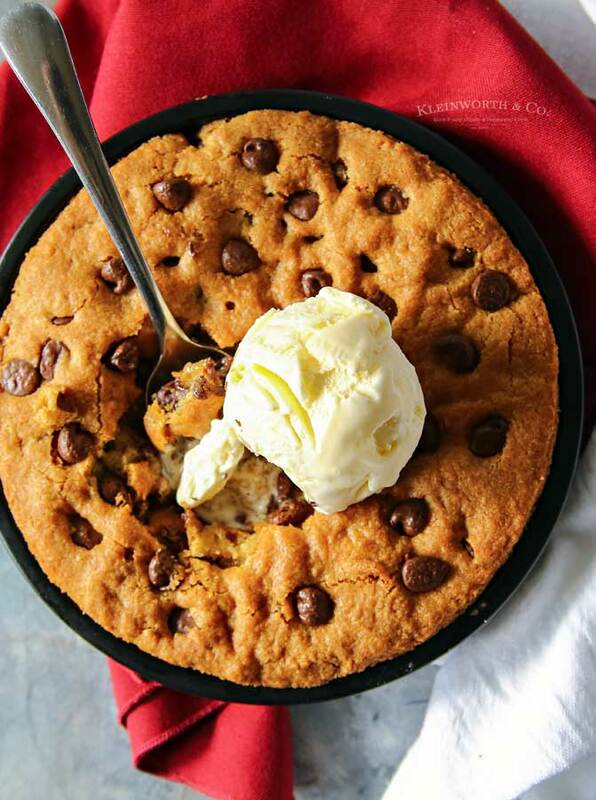 Press cookie dough into the prepared pan and bake at 340 degrees for 11 minutes. Reduce heat to 310 degrees and bake another 5 minutes, or until golden brown and cooked through. 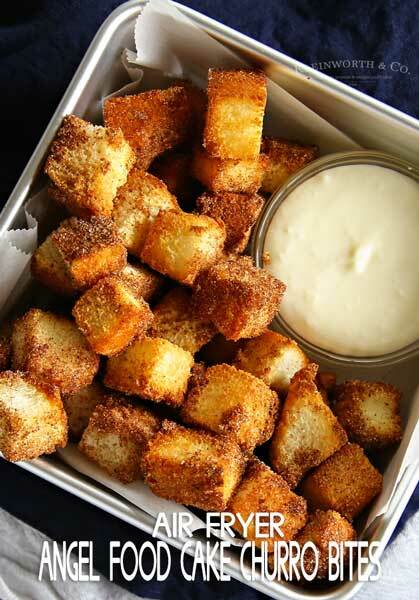 This is our favorite little shared dessert- so good! 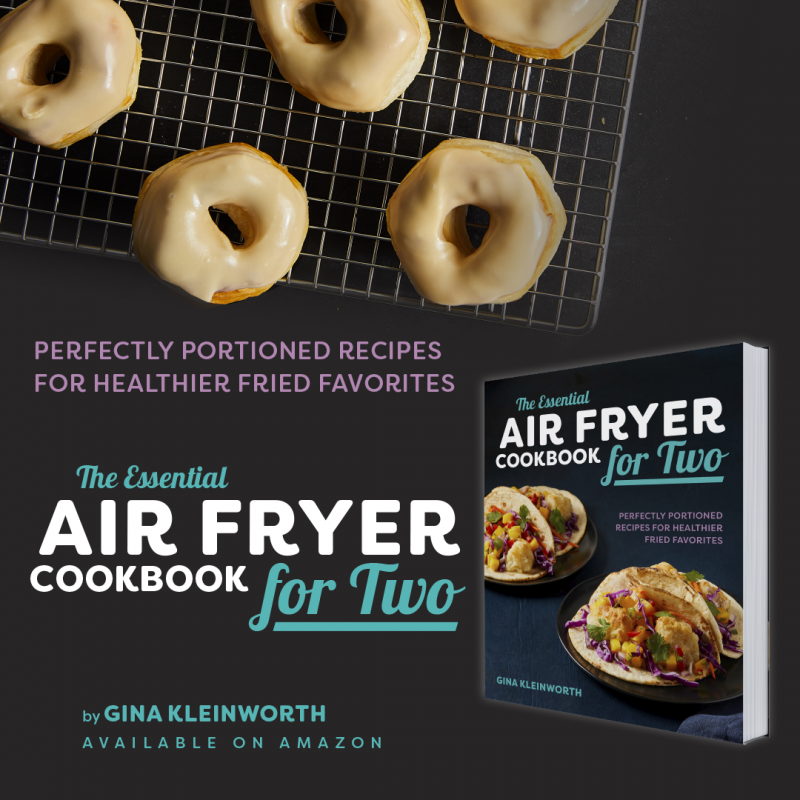 It is normal for the center to be slightly gooey and undercooked. However, if it has a melted appearance, it needs to cook for a few minutes longer. Oh yum! You truly can use it for anything!